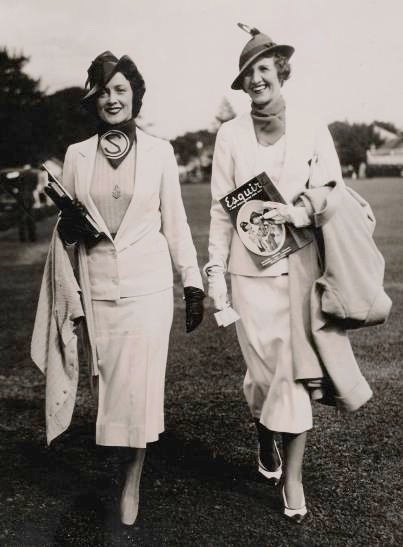 Mary Duncan Sanford and Babs Tyrrell-Martin grace this photo, most probably taken during the 12th competition for the Westchester Cup, in 1939 at Meadow Brook, Long Island, where the best polo players of the U.S. and the U.K. were competing for a trophy first put up for grabs in 1886. On the left, Mary Sanford. As Mary Duncan, she starred on Broadway, went to Hollywood and appeared in 16 films, including 1931’s Five and Ten with Marion Davies. It was Davies who introduced Mary to Stephen “Laddie” Sanford after a polo match in Santa Barbara. Sanford, whose Hurricanes won the U.S. Open Polo Championship five times in three different decades, had appeared on the cover of Time magazine, hung out with Cole Porter, summered on the French Riviera, and was heir to the Bigelow-Sanford carpet fortune. In 1933, Mary gave up her acting career and married Laddie. 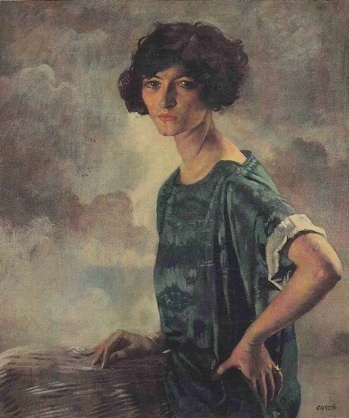 They settled in Palm Beach at an oceanfront villa, Las Incas, where Mary played tennis, shocking and then inspiring a generation of wealthy women who had been steeped in indolence. Mary became the Grande Dame of Palm Beach society, a position she held regally until her death at the age of 98. On the right, Babs Tyrrell-Martin, wife of Eric Tyrrell-Martin, the captain of the British challengers. Eric had played with polo’s best, winning the U.S. Open with Pete Bostwick and the English Open with Cecil Smith, teaming at other times with Tommy Hitchcock, Bob Skene, Stewart Iglehart. For many years, he and his wife lived in California where he taught polo to the Del Monte-Pebble Beach colony, until Eric was posted to Palestine at the outbreak of World War II and his wife, on her own, left the safety of the U.S.A. and “thumbed a lift” to join him. “Would have done the same thing, darling,” said actress and friend Carole Lombard in a 1941 letter telling the Tyrrell-Martins how much they were missed. Mrs. Sanford and Mrs. Martin. Great day, great women, great smiles. She spent 14 hours holding still. She lived to be 97, an amazing woman, well worth remembering.